NYFA’s most popular and delicious Senior Epee Open is Sunday, March 29! We’re happy to team up with MacarOn Café for our 3rd annual competition complete with excellent epee fencing and marvelous macarons for all. 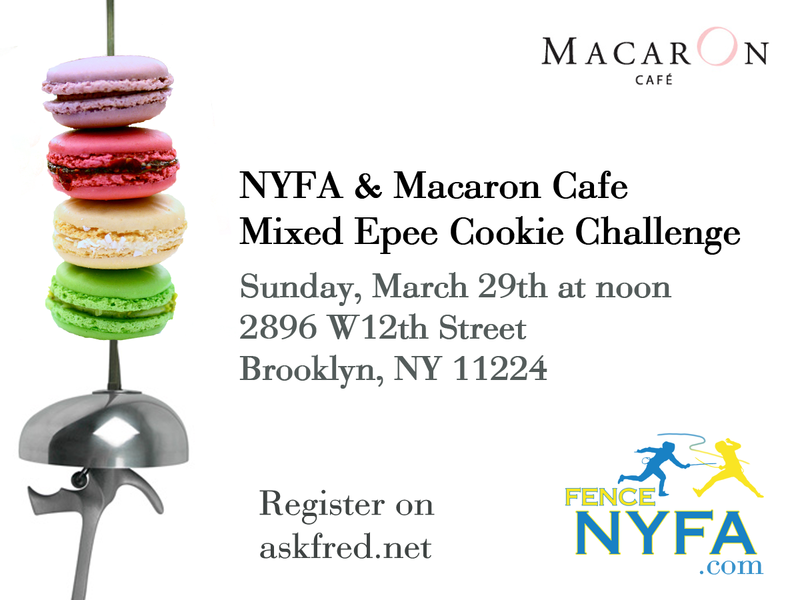 Winners will receive medals and a special gift basket of the best macarons in NYC! This is a USFA sanctioned event. Ages 13+. $35 for fencers pre-registered through AskFRED; $50 walk-ins at the door.